Wolverhampton, home of the Amethyst Trust, is hardly renowned for… well, for very much at all really. Year after year we Wulfrunians must suffer the fate of our beloved city being slated in articles which run down our culture, our environment, our facilities – even our accents! OK, so perhaps the Midlands canal system cannot compare with the magnificence of Venice, and none of us would claim that our green spaces rival Central Park. We all know, though, there is so much to love about Wolverhampton – the heritage, the architecture, and most of all the lovely people of our city. 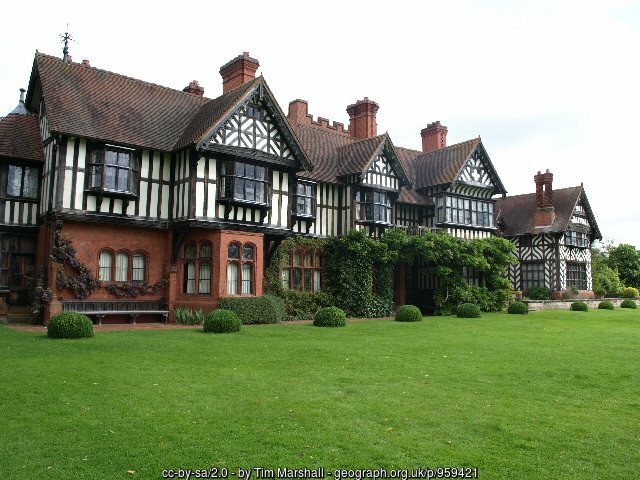 And that is Wightwick Manor. The most wonderful building in Wolverhampton sits three miles outside of the City Centre (5 minutes from Aldersley), and is now owned and maintained by the National Trust, preserved for the nation forever. It was, however, first the home of a Mander family, the most famous industrialists in the city’s history, and it was Theodore Mander and his wife Flora who had the house built in the 1880s, and decorated it with the work of William Morris after taking notes from a lecture by Oscar Wilde on ‘the House Beautiful’. Today it is equally famous for one of the most notable collections of Pre-Raphaelite anywhere, with works by Dante Rossetti, Millais and more art by women than any other property in the National Trust today. When Andrew Lloyd Webber recently visited, he cried at the house’s beauty. 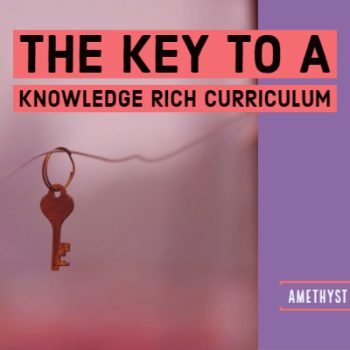 But other than being a great trove of knowledge, what does this have to do with the Knowledge-rich curriculum that we are building in the Amethyst Trust? Well, this week’s blog entry focuses on one of the most important developments of our journey to become a Knowledge-rich school – namely, our Lesson Phases. The Lesson Phases are simply the different aspects of teaching that we expect to see as part and parcel of practice in the Amethyst Trust, and therefore form the structure of lessons and sequences of lessons. So this got me thinking about structures, and where better to start than the most beautiful structure in town? And that, of course, is Wightwick Manor. To create an incredible building like Wightwick Manor is, in some ways, like creating a building, like constructing something from nothing. And we firmly believe that all great teaching is well-structured, but without being so rigid that it cannot adapt to change effectively. To create memorable learning moments, lessons that last a lifetime, moments as fragile and fleeting as a William Morris wallpaper, there has to be a sound structure beneath it that will support these wonders. Sometimes, I think back to when I train as a teacher, and feel like the emphasis was too much on adding ‘sparkle’ to a lesson, and that teaching was some sort of ethereal, magical processes. It has taken long years of sometimes-painful experience that it is well-structured and effective teaching every single day which makes the difference in the lives of young people. Having “fun” activities for activities’ sake is not strong teaching learning – so we set about trying to clarify for our teachers and students exactly what did make for strong teaching and learning, particularly which would allow our students to thrive in a curriculum which demands greater depth of knowledge. Thus, the Lesson Phases were born. It is important to note that whilst these five components may be part of any single lesson, it is not expected that these will happen in every lesson. Indeed, these processes might take place across a series of lessons, or indeed a lesson might be devoted to only one or two of them. It is simply an acknowledgement that there are some things which are undoubtedly seen time and time again in the practice of strong teachers, and it is our intention to support our teachers to make sure that they happen as often as possible: part of the daily routine. We ask our teachers to be explicit in sharing the Lesson Phases with our students who, over time, have become more adept at knowing what their teachers are expecting of them, with their learning improving as a result. In a previous entry I spoke about Big Questions as one of the key points of our new teaching strategy, and the Lesson Phases enable them to make logical progress towards answering them. The phases may seem self-explanatory, but it is worth lingering on a few key points. We expect all lessons to begin with a recall quiz or activity which re-activates prior learning, because we know that prior knowledge makes students better equipped to tackle new knowledge. We expect our Knowledge Phase to be an interactive experience, where students are taken through the lesson’s key information, but can also interrogate it and ask questions. 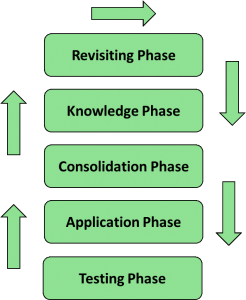 The Consolidation phase is vital, and often missed in activity-led teaching; only once knowledge has been properly consolidated and embedded can it be applied with any great success and skill. There is great freedom for teachers in how they manage the Application Phases of their lessons – we only ask that it is meaningful and well-focused. Finally, we are not shy about using the word Testing with our students, not because we want their experience to be an endless trudge of examinations and assessments, but because regular lows-stakes testing is proven to aid retention and to build students’ confidence in applying the knowledge that they have acquired in sophisticated ways. And our students love it! The most striking thing about the first couple of months of our Knowledge-rich curriculum is how positive the response has been – from both staff and students alike. 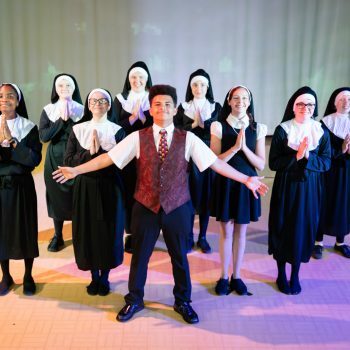 Our anonymous surveys have reported a better work-life balance, more effective planning, better conduct and more engagement from teachers’ points of view, but likewise our students’ verdict is glowing. They say that lessons seem more organised, more focused and more challenging, with a clearer sense of how they are learning and moving towards their goals. The truest things come from the mouths of babes, they say, and when the students themselves are noticing more structure in their learning – and liking it – then it seems very clear that we are onto something. The intention of our Lesson Phases is not to stifle teacher creativity or to limit professional freedom. As long as our teachers are using their time to use one of the Phases productively and effectively so that students are learning, we trust their professional judgment and support them in trying to make that learning as effective as possible. Because structure is something that we in the Amethyst Trust have embraced, not to create rigidity and uniformity for the sake of it, but because ultimately strong structures are what allows us to create wonderful things. 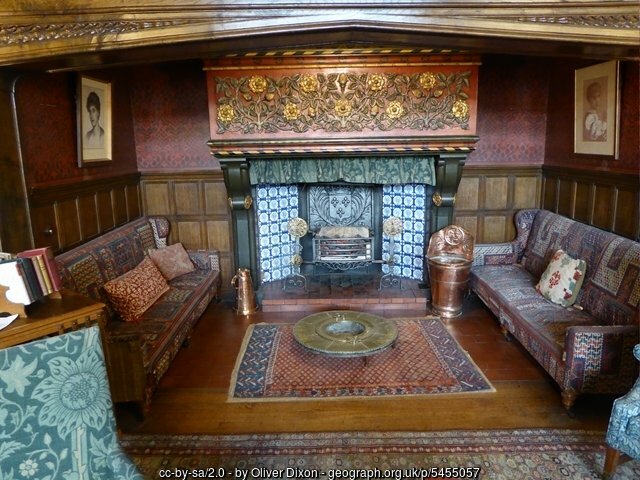 Which brings me back to Wightwick Manor, just one of Wolverhampton’s treasures – but maybe the crown jewel. Our Knowledge-rich journey has been designed to give our students more cultural capital, firstly so that they can learn to appreciate the fantastic things in the world around them, but also so that they can access and experience the very best in educational opportunities. 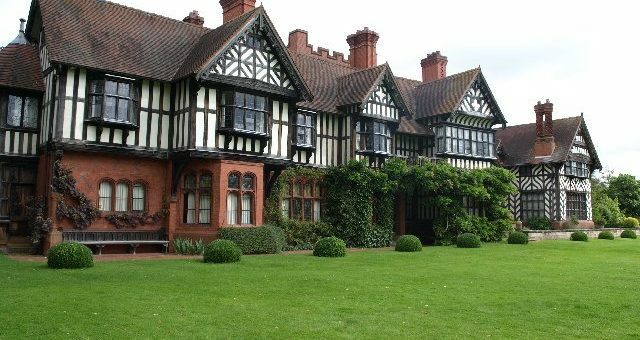 We want their educational journeys to be as spectacular as Wightwick Manor is, but we recognise that first we need to create a solid structure, in both the learning that they do and the school that they attend. Because, though Wightwick Manor is adorned with beautiful decoration, it is worth remembering that before it was filled with William Morris Arts and Crafts and Pre-Raphaelite sketches, this beautiful place was a house created by a family of engineers, that started with a foundation, was built up into a timber frame, and so was given a structure that has allowed it to live even to this day as a symbol of all that is worth celebrating about the world and its people.